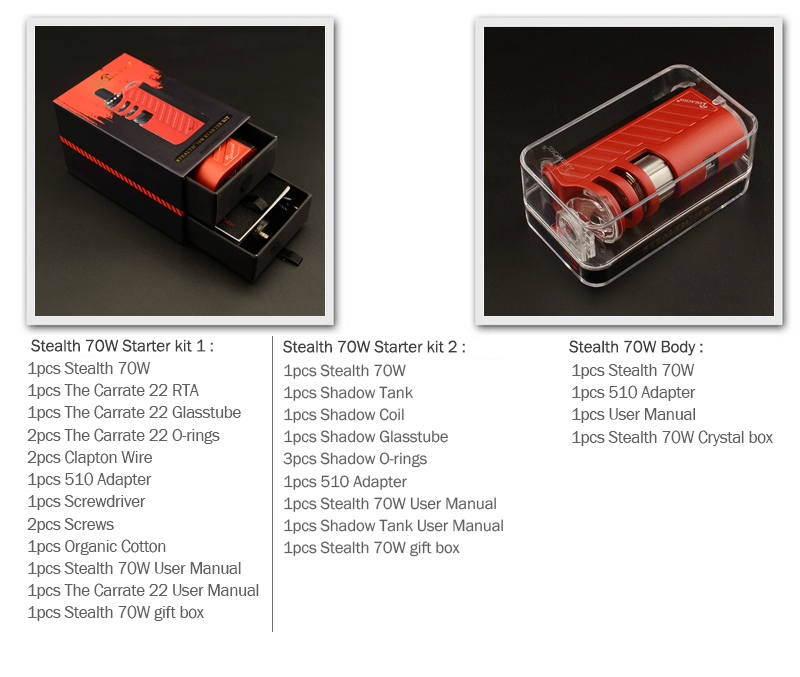 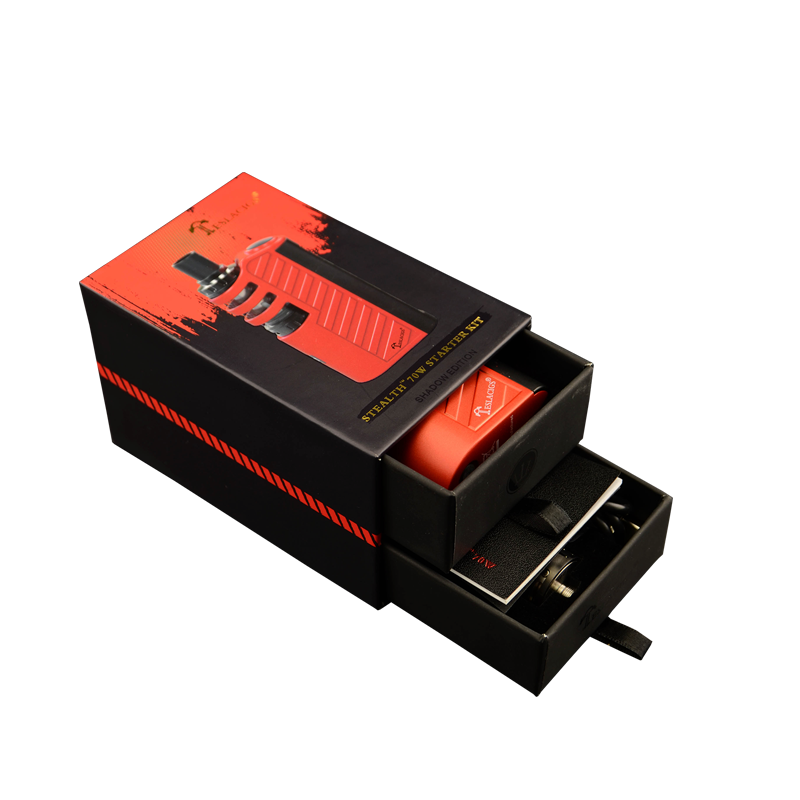 A few months ago,The Stealth , Stealth Mini and Stealth 40W are spoken highly by vapers,and we got lots of positive feedback and excellent comments.Now our company releases a new stealth style regulated box mod —Stealth 70W. 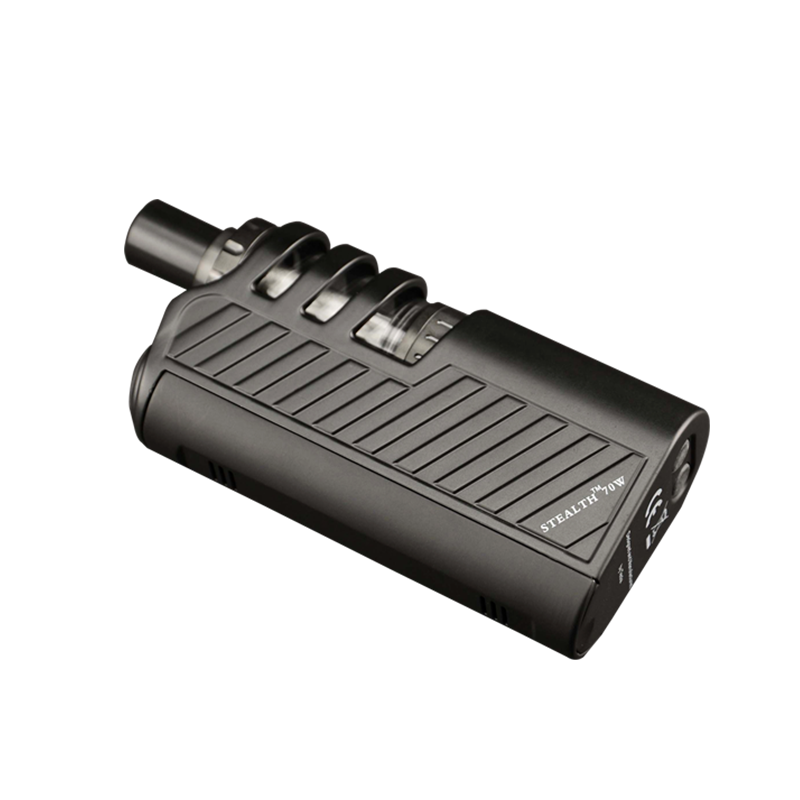 The Teslacigs Stealth 70W utilizes a 23.5mm diameter tank slot to hide tanks "under the surface". 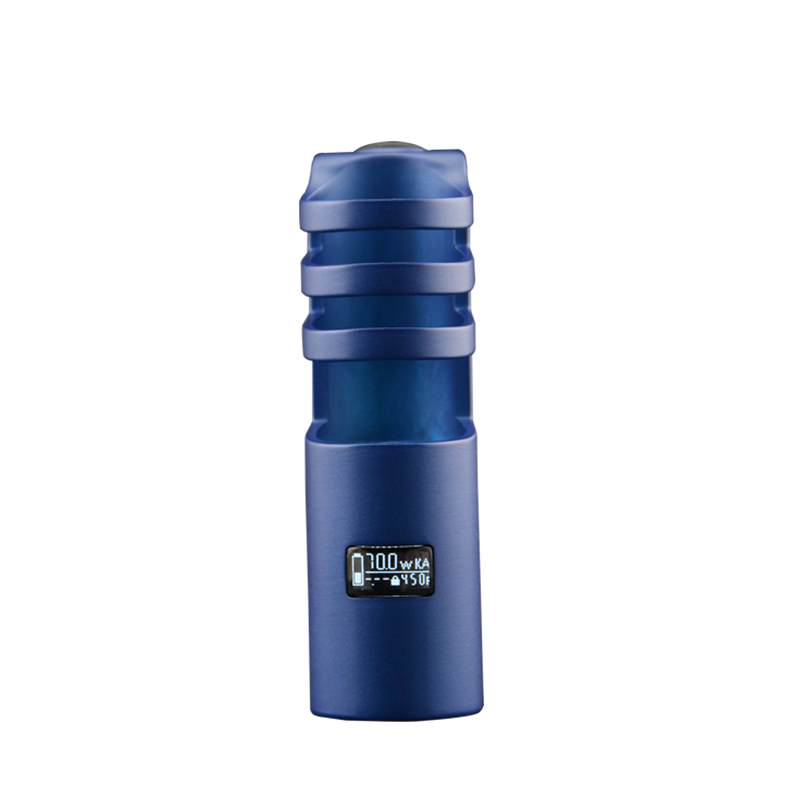 This makes the mod much easier to carry around throughout the day. 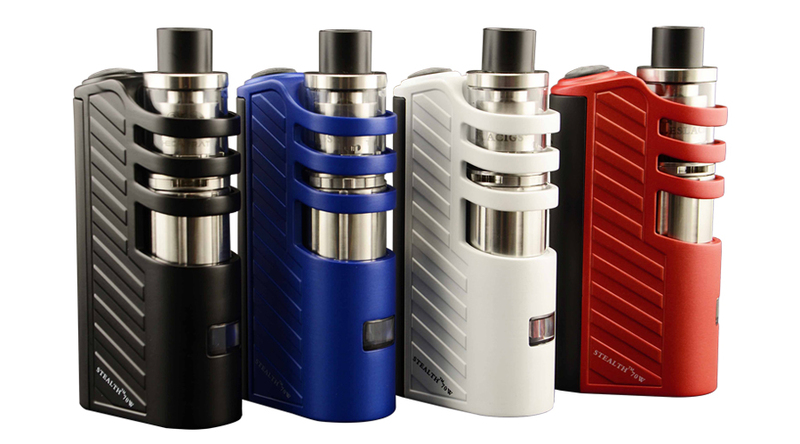 It will accommodate most of sub tanks and RTAs that are currently on the market. 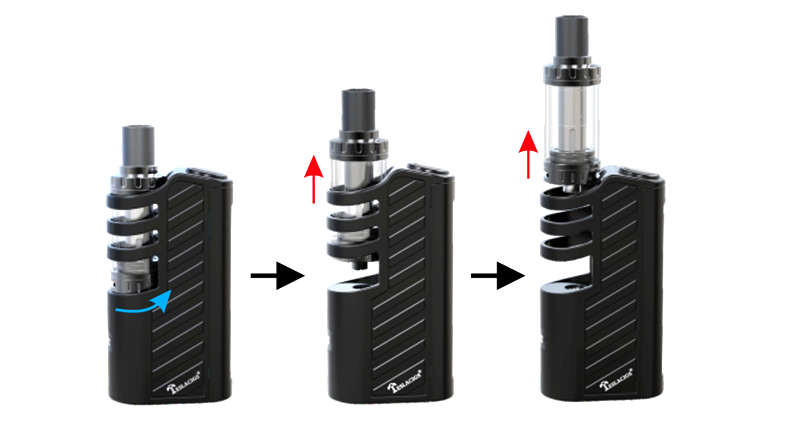 Be prepared to experience the simplicity and portibility of the Stealth . 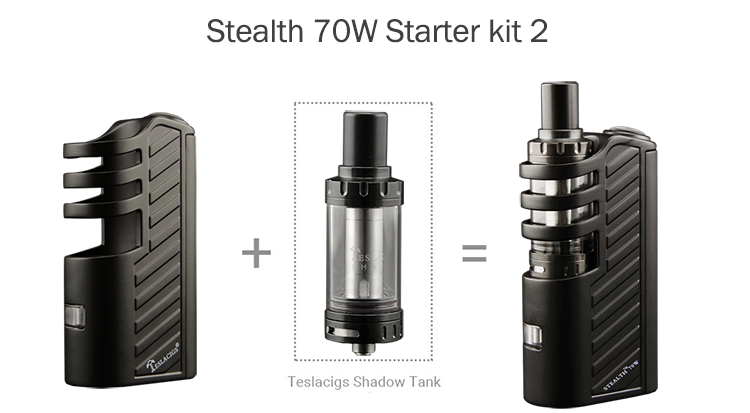 The Teslacigs Stealth 70W is a very portable device. 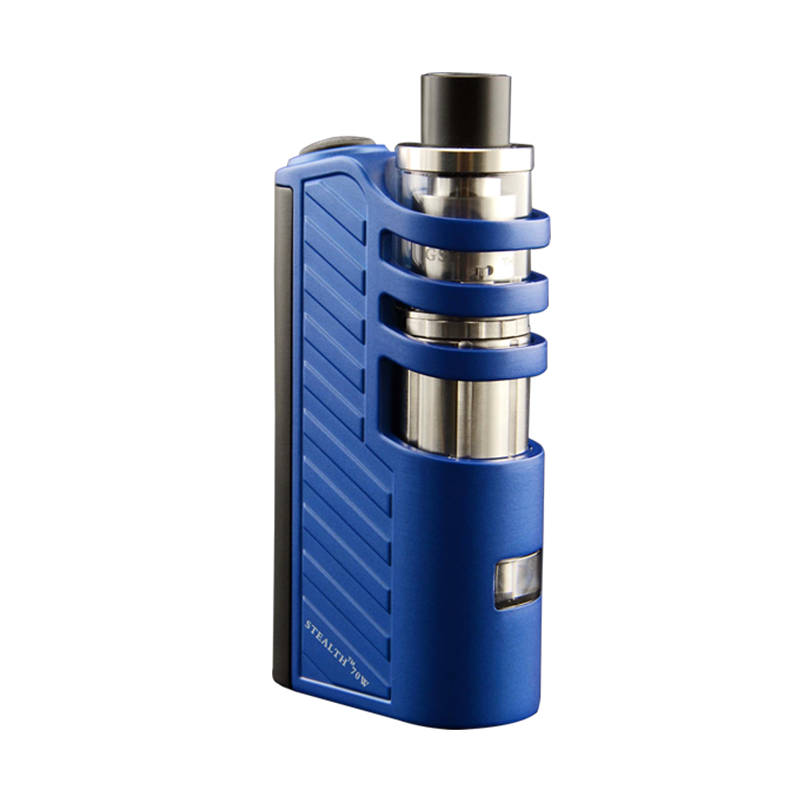 It comfortably fits into a pocket without the worry of auto firing. 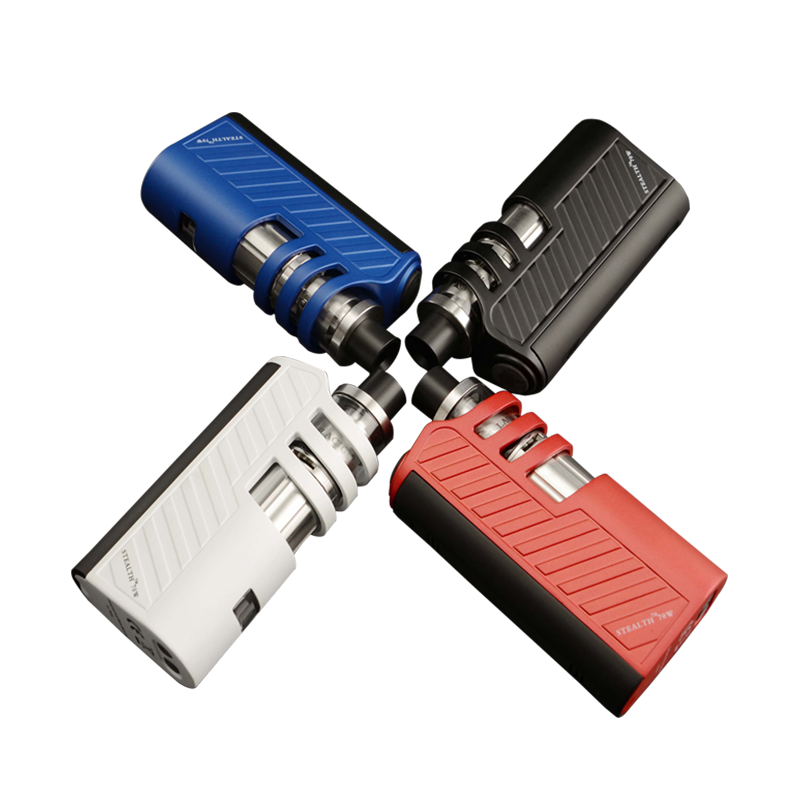 When compared to many other devices on the market, it is much shorter than the others. 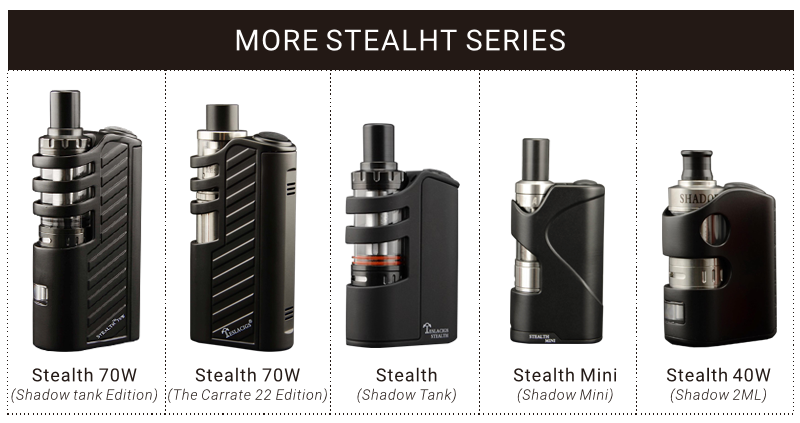 The stunning looks of the Stealth is largely due to its small size. 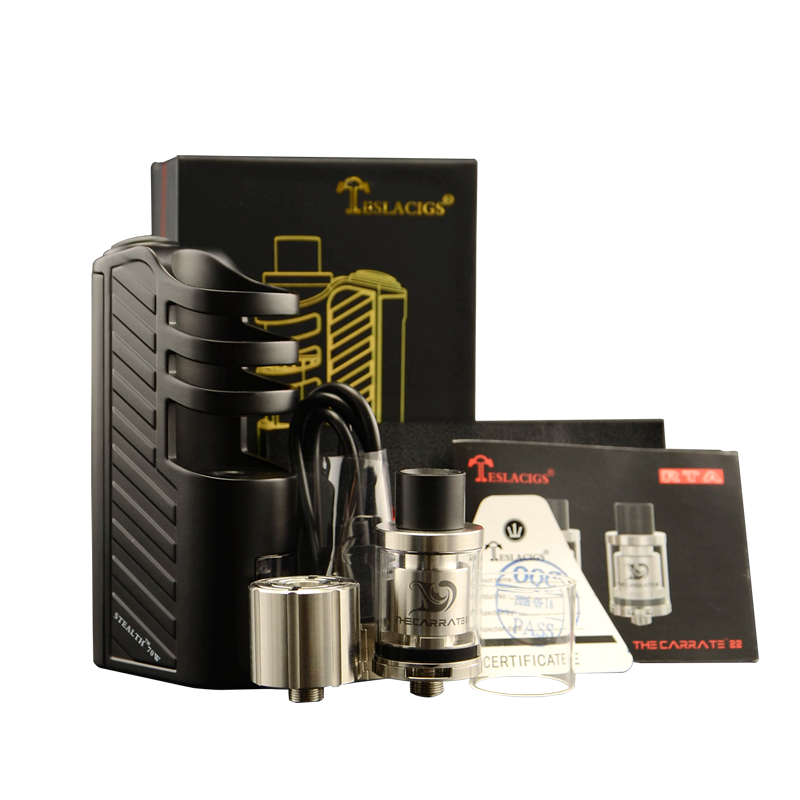 Teslacigs Stealth 70W fits atomizers up to 23.5mm diameter. 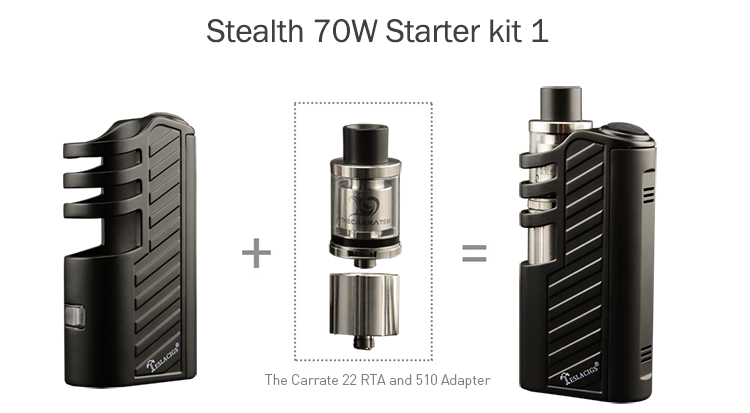 it matches perfectly with the Shadow tank / The Carrate 22 RTA. 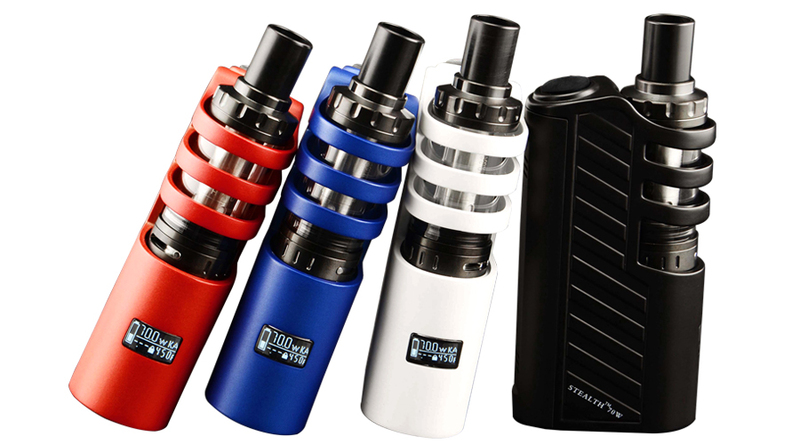 Positively an amazing vape experience. 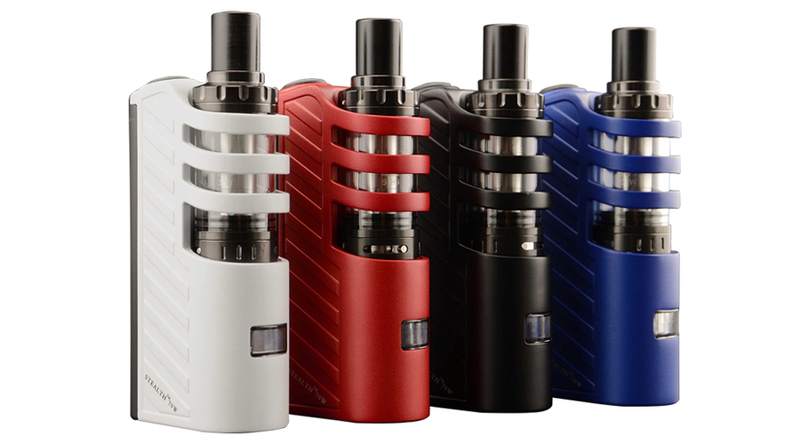 Teslacigs Stealth 70W is available in 4 eye catching colors for you to show your style,and uses durable baked finish and Pearl powder for soft feel and superior glossy shine. 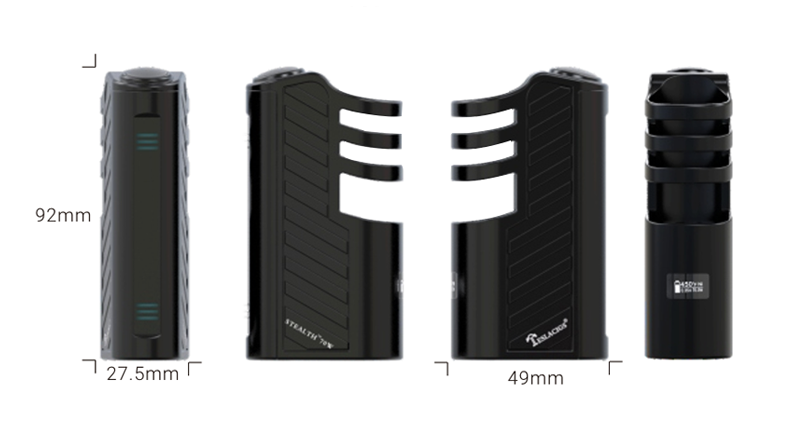 The Tesla Stealth 70W uses a specially designed magnetic battery cover. 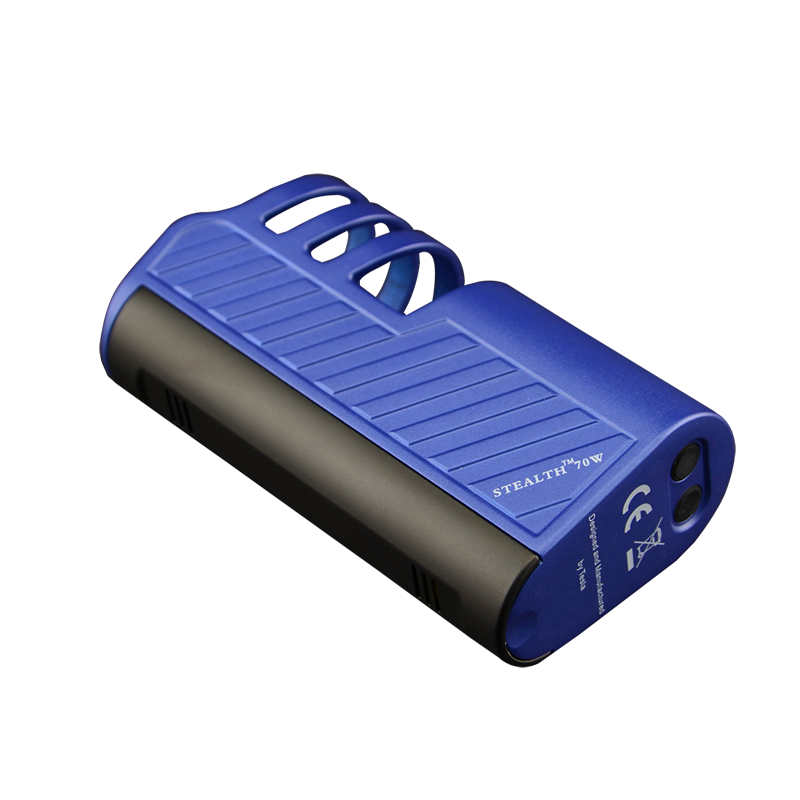 This makes it easy to swap out batteries when they are dead. 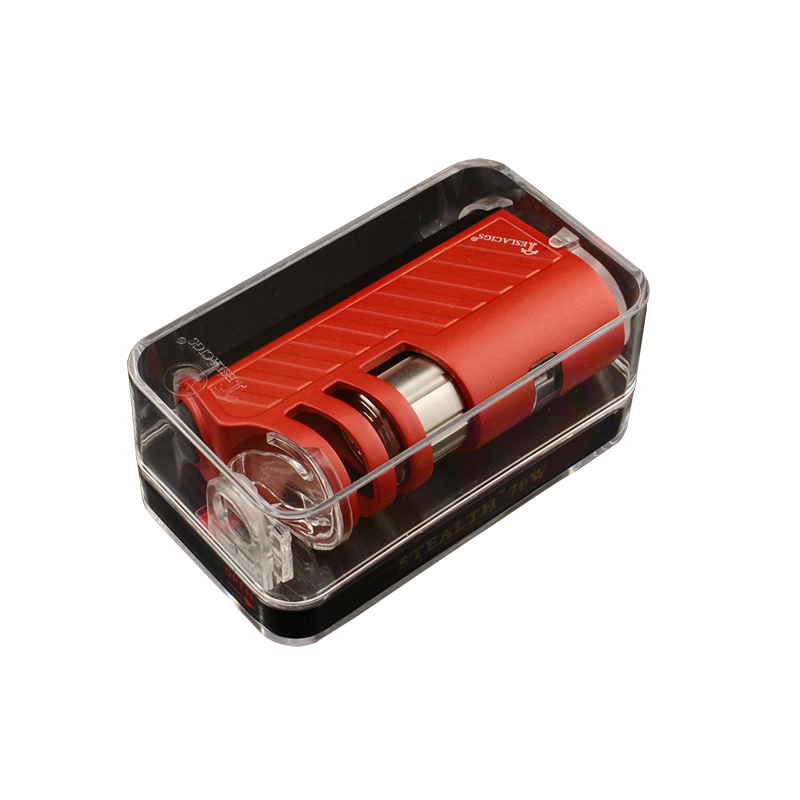 The magnet is strong enough to prevent the cover from coming off unintentionally. 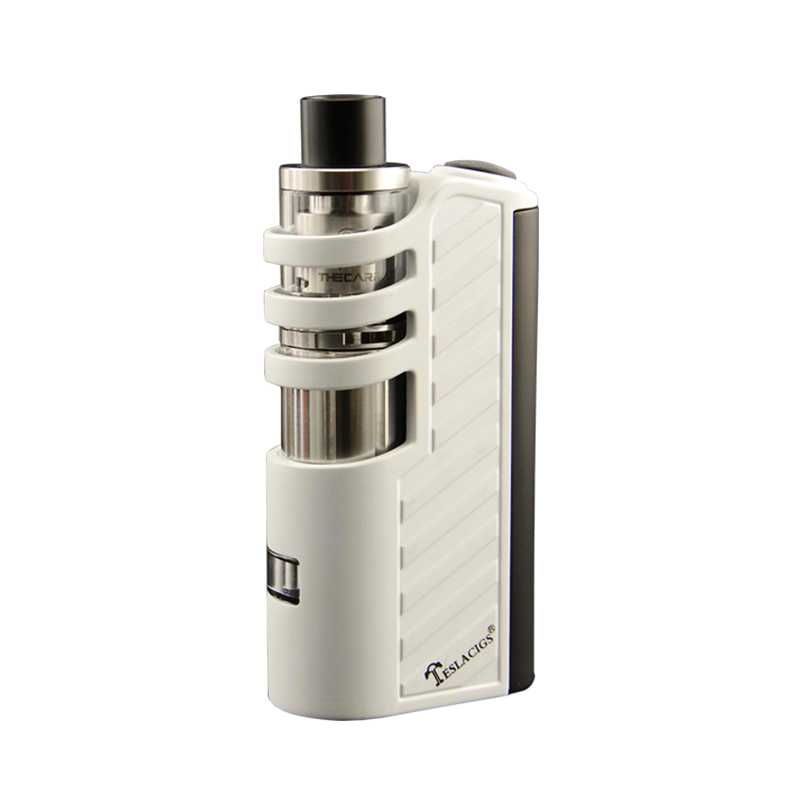 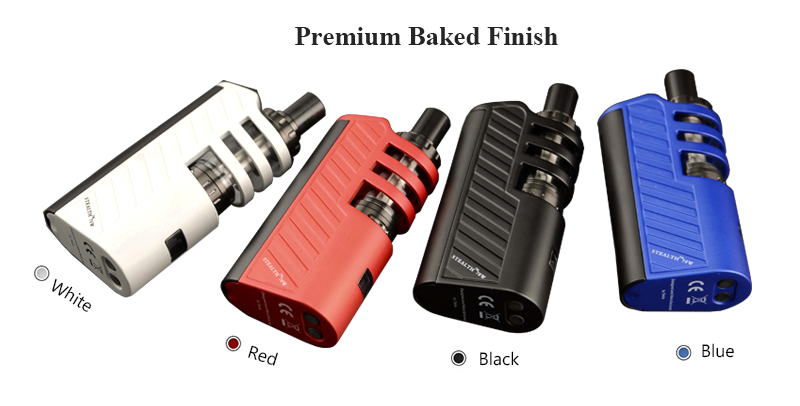 It shows all key pieces of information, including output wattage, output mode, atomizer resistance, battery level and wire temperature. 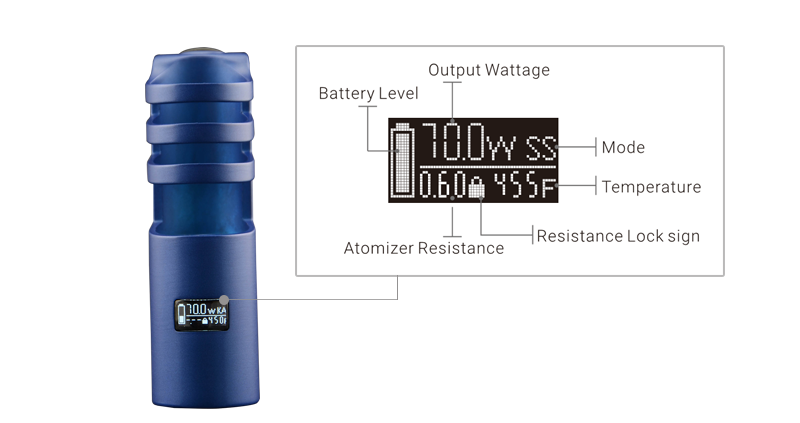 If the resistance is locked, the OLED screen will display a lock sign.